A slim, parchment-bound oblong volume from the baroque era is preserved in the Carinthian state museum in Klagenfurt. The manuscript may well have a monastic provenance, perhaps from the abandoned Benedictine monastery in St. Georgen am Längsee. Whether it originated in the monastery or arrived there from elsewhere is just as unaccounted for as the names of the composers presented here. Most of the pieces preserved in «MS 73 Klagenfurt» are for solo violin without bass. There are manuscripts in libraries in London and Kromeriz however which record a few of the solo pieces from MS 73, mostly with an added bass line. 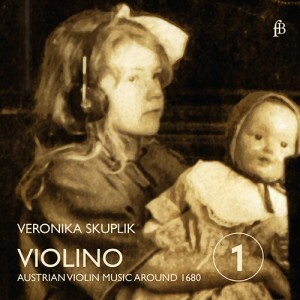 Almost all the Klagenfurt manuscript pieces are for a «retuned» violin, i.e. written in scordatura, although this is not always indicated. Moreover the collection was apparently assembled over a long period of time and was repeatedly enlarged by various copyists who were not always the most gifted violinists or musicians. This resulted in a conglomerate of little suites, individual dances and arias.